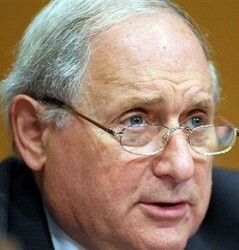 In the wake of Wall Street scandals, collapses, bailouts, bonus billions, record profits, and now, according to the SEC, charges of fraud, the big show moves to Washington on Tuesday when the Senate Permanent Subcommittee on Investigations, chaired by Carl Levin (D-MI) will grill Lloyd Blankfein, Goldman Sachs CEO, and six current and former Goldman people, including Fabrice “Fabulous Fab” Tourre. The show starts at 10 AM EDT. Levin is a very bright, very tough, inquisitor who is not one of the 46 senators who have gotten major contributions from Goldman. Nor is the ranking Republican, Tom Coburn (R-OK). The committee has a long history of changing Americans’ attitudes and behaviors, going back to 1921. It may well start to change the way Americans think about ethics and business. 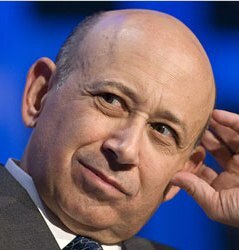 Blankfein will testify last. He’ll face an awful dilemma: Will he defend Goldman’s behavior—described by Business Week’s Michael Lewis as creating a billion dollar bond package to fail, tricking and bribing the ratings agencies into blessing the package, then selling it to a slow-witted German? Or will he say that Fabulous Fab’s deal was inconsistent with Goldman’s ethical standards, and thereby give credence to the SEC’s charge of fraud? This entry was posted on April 24, 2010 at 2:50 pm and is filed under Business ethics, Ethics-general, Finance, Politics. You can follow any responses to this entry through the RSS 2.0 feed. You can leave a response, or trackback from your own site. If you saw him testify you’d never trust him–self-important and evasive. The feds will not bring criminal charges until the civil fraud plays out. If that goes to trial and G-S loses, here comes the prosecutor.